Weddings are the most special occassion and to make the day even more memorable for you and your guests it's essential to get the music right. We aim to appeal to everyone no matter how large or small the event. We are very experienced at adjusting our set to suit the occasion. Please note that this is only a sample programme and this can be tailored to suit your occasion. Image is important, the band traditionally wear all black suits but are happy to incorporate kilts if required. Callanish come completely self contained with PA system, backline and stage lighting all PAT tested. Additionally you can hire a speech PA System which can be installed earlier in the day and can be collected at the end of your event by the band. Alternatively you can retain the PA System for ipod music after the band finish. 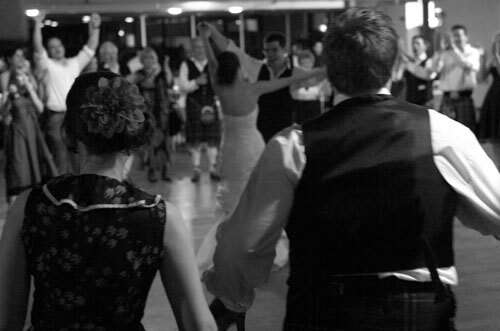 Callanish are full time musicians with nearly 20 years experience performing at all types of weddings in all types of venues and locations. We have a dedicated team available to deal with you throughout the life of your booking. If a band member or a singer falls ill or looses their voice, we use a collective of musicians to insure total reliability. Our rates are highly competitive and are based on the fact you are booking full time musicians for their reliability and professionalism. They are dependent on factors such as timings, distance and number of musicians required etc. They include personnel, transport, PA, backline, stage lighting, public liability insurance and VAT. We aim to suit every budget by being flexible. Enquiries are dealt with immediately by our Sales/Events team. One-to-one meetings are available by appointment anytime Mon - Fri 10am to 6pm. Evening and weekend meetings are also available by prior arrangement. Get in contact with us, tell us what you’re looking for and we will work with you to help obtain it.